Message trumps art. I know that’s not the message I’m normally chanting. I’m normally talking to pastors about how the church needs to once again reclaim the place of being the most creative place on the planet. And while I wholeheartedly believe we should be bringing a new layer of creativity and art to Sunday morning, we can’t lose the message in it. I’m talking to the creative today. This video is a good example of something very artistic and creative, but something off message. This does not make me want to buy Legos. It does make me want to file a restraining order against the Lego man. In the video they seem to forgot that 1) Legos are for kids to enjoy and imagine with, and 2) that scary men stealing toys scare them. You can’t stay on message if you don’t know what the message is. Too often we jump head first into a project, we have the series title and we don’t dig in deep enough to know what the pastor is trying to say. Spend time with the scripture, find out what the core take home is, what is the one message. This may challenge both you and the pastor but will pay off big time. While I am a big proponent for bringing that artistic layer to Sunday morning, it can not overpower the message. Do they see the big props, huge lights and beautiful design but miss the message? Then turn it down. When we do this we begin the process of molding a message and art together. The two have to work together, ensuring that the message is primary. This is the craft of communication. I will grant that the man is freaky and some kids wouldn’t sit through the whole thing, but they make it pretty crystal clear at the end that the whole scene is in some kid’s imagination (probably his explanation for why there are always a few less bricks every time you put your legos away). The message is that imagination rules. It’s not *that* garbled. And I’d agree that it’s clever, and if the target is adults…maybe. Though I still think the dude is creepy. My larger point beyond critiquing an ad, is to remind artists to focus on the message. I see to often a focus purely on the visual, on how it looks, and not enough on what it says. So while I will get on my soapbox with pastors on focusing on how to say it, as artists we need to focus on what it says. Especially today with DVR, etc. and we’re not “forced” to watch the whole commercial. If you have to wait until the last :10 seconds to put it all together it’s just going to miss too many people. Maybe with a less creepy guy, and more of the “where do all those pieces go” then it would, for me, be more on message. Just not enough fun to match the Lego brand. However, as an ad before a Tim Burton flick…perfect. For what it’s worth, I just did a little market research by running the commercial by a focus group of one, my 4 year old daughter. I asked her what she thought of the video & she smiled and said it was funny. I asked her what she thought of the man and she smiled again and said he was funny too. Then I asked her if she wanted to play with Legos and she smiled and said yes. But, I agree with you, Michael, that the message and the art have to be molded together. I would even take it a step further and say the art IS the message. It is just as much a part of the message as the words used. In that light, if your art is conveying the same message as your words, then you really don’t have to worry about turning down the art to hear the words. But, one of the challenges (as demonstrated by this example) is that art can convey different messages to different people, so even when you’ve worked hard to make your art and words communicate a unified message those messages may conflict in some people’s minds. I disagree i totally wanted to go play legos after watching that commercial. 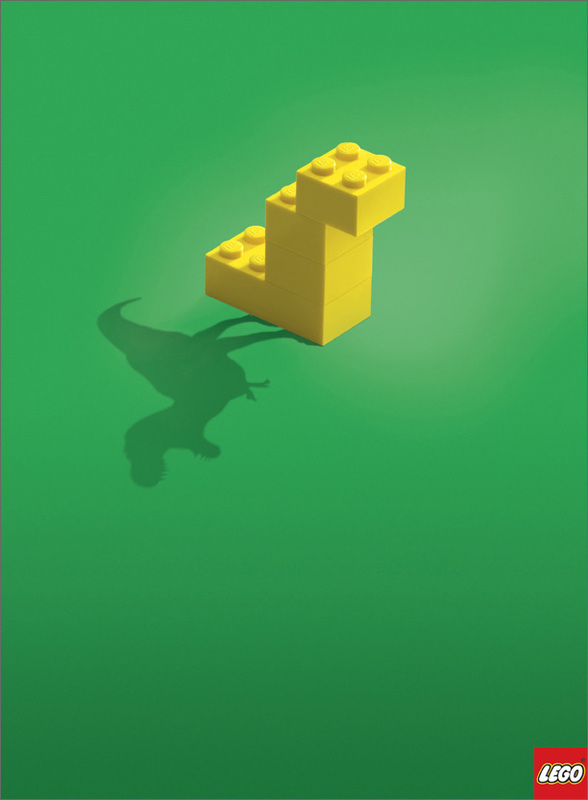 It is a cool and very artistic ad and I suppose if they’re switching their focus to adults who can process the storyline, hoping that you’ll go out and buy some legos to relive your childhood memories then maybe it is on message. And it may be in fact a switch for them, remind parents of how they loved to play with them and the imagination it brought hoping that it will translate to them buying them for the kids. The dude is still creepy for a kids toy ad. I didn’t mean for this to be about Lego and whether you like this commercial or not, but to remind artists that we must keep the message in focus and our art must compliment and connect to that message. Something I see too often ignored. I see too many get a sermon title (for example), take it and make it pretty and while an improvement over clipart that is falling short. 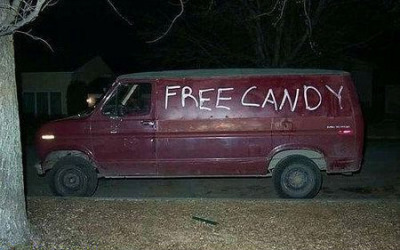 Change the color palette and the “creep” factor goes away. I like the last half it gets playful but the color palette is not the Lego brand. I see they where looking for contrast in shooting but its not the brand. Lego is imagination and color. My resident Lego mega-fan said he liked the commercial but and I quote “Dad I liked the lego parts but why was the guy dark and creepy” his words. Right on. You said it better than I. My wife loves to read books. They move us in different ways. I’m a visual person more so than my wife. The same is true for how we are doing church. You absolutely must have a great message, a great story…but how you tell it is extremely important. The church is stuck on words, it has been since the printing press. We are wired with many senses, hearing is just one of them. Engage all the senses, especially visual as it is directly connected to emotion, and it sticks. The comments section seems to prove that a lot of art is subjective. Hi. My name is Will; … and I’m an artist. (collective: Hi Will.) I am also a Lego fan, Lego father, and Church Communications Director. I’m going to leave the commercial alone and go after the point. I greatly enjoy working with the clergy to illustrate a great message, but what am I to do when I feel like they are leaning on me to prop-up their mediocre message? I don’t feel like I can tell the Rev. Dr. to rewrite the message a noon on Friday… yet I know that it’s just coming across like pop music: all flash and glmour – no depth. Hi Will. That is difficult. I think it comes down to relationship. If you’ve built a relationship of trust and honesty, you can then make suggestions. But instead of telling, ask. Let them find the holes. “what is the core of this message” “what do you want people to do with this message” “why should people care about this” etc. And as I wrote here http://jesushatespapyrus.com/growth/areminder/ you also have to do your part, trust that the pastor will do his part but remember that it is God that makes it grow. Hey Will. I hope the content you’re working with doesn’t always lack depth. If that’s the case, you may have a deeper, philosophical question to consider: whether you’re working with the right “client” or church. However, as designers, marketers and communicators, our role is to make an engaging connection between the “clients” content and the audience they are trying to reach—no matter what the content. In my experience, the best way to approach this is to educate yourself on what the “client” is trying to say and then reworking some of the lead-ins or headlines to make it more “consumer-friendly.” Then, rather than just educating or directing them to rewrite content, present new directions or ideas and then give them a brief background on why these will assist the audience in understanding what the message is about. It’s hard to make a parallel between secular marketing and church marketing. But I do know that being having been a Christian in advertising, I have my own, internal set of boundaries I worked within. I’ve worked with my share of clients whose products and services weren’t par with their competition but my role wasn’t to educate them on how to do it better, my role was to identify benefits, engage their audience and leave the rest to the relationship, or lack-there-of, between the consumer and the organization. Note that we always want to be authentic in our marketing, but it’s our role to work with what we’ve got. God will make it grow, but he’s also given you the talent to be a killer communicator. That is a really good point that the message can get lost in art. But I also think possibly the targeted audience here were adults and not children. But if the target audience were children, then yes, the message was lost in the art. But nonetheless, a very good point was made: message first.